﻿ Best Price on Gold Coast Aruba Vacation Rentals in Noord + Reviews! This guest accommodation in prestigious Malmok district in Aruba, is located in a secure gated community which includes 3 swimming pools The spacious villas have a fully equipped kitchen and private parking. 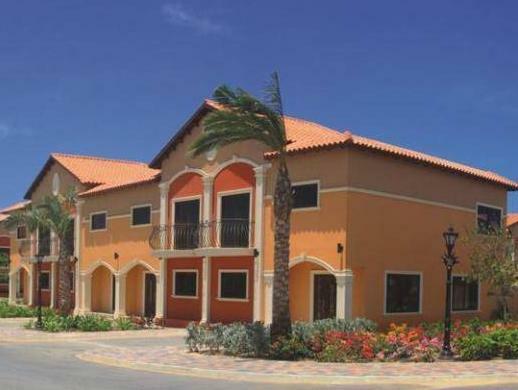 At Gold Coast Aruba each villa is comfortable and includes luxurious furnishing and decorations. The villas include cable TV, a washing machine, tumble dryer and a backyard with terrace. Each bedroom has a balcony, walk-in closet and a comfortable bed. WiFi is accessible on request. The gated community also includes a barbecue area, a clubhouse with a lounge area, fitness room, restaurant and bar as well as showers and restrooms. Gold Coast Aruba is only 3 minutes away from Aruba's most beautiful beaches, including Boca Catalina snorkel site. Arashi Beach is 3 km away and California Lighthouse is 4 km away. You must show a valid photo ID and credit card upon check-in. Please note that all special requests cannot be guaranteed and are subject to availability upon check-in. Additional charges may apply. Please inform Gold Coast Aruba Vacation Rentals in advance of your expected arrival time. You can use the Special Requests box when booking, or contact the property directly with the contact details provided in your confirmation. A security deposit of USD 500 is required upon arrival for incidentals. This deposit is fully refundable upon check-out and subject to a damage inspection of the accommodation.